Since the new year started, Pebble users have been on borrowed time. When the company closed its doors and sold off key assets to Fitbit, chucking the rest on the scrap heap, Fitbit promised to keep the servers running until the end of 2017. That time came and passed – everything has been working as usual – but then Fitbit confirmed that on 30 June it will turn off the lights, more than a year after Pebble left the room. And so starts the timer for Pebble's most passionate patriots to rebuild what will be lost. Rebble is very much the spearhead of this movement, a project started by Pebblers to retain full functionality once Fitbit pulls the plug. But it's not the only one: when she became aware of Fitbit's plan to end services in June, ex-Pebble employee Katharine Berry, now a wearables engineer at Intel, offered to preserve one of the app development platforms when Fitbit pulls the plug. She even says she'll try to run it. Last year Pebble pushed out an update that will let its smartwatches continue to work offline when the darkness comes, but there will be no app store and no further updates. Those who still wish to use a Pebble watch will be left to their own devices. Rebble – "Pebble Reborn" – is now in a race against the clock. Its leader, who asks to stay under the pseudonym "Ish Ot Jr", has been working on the project since the day Pebble announced it was going down. He had backed every Pebble Kickstarter, and when the announcement came that Pebble was shutting down, he and a handful of Pebble's loyal supporters hoarded as many pieces as they could, unsure whether the servers would be switched off that very night. "Being part of the Pebble community has been a big part of my life," he tells Wareable. The project has been running for more than a year now with about a dozen core members, but it was this last December where things started to really pick up, according to the Rebble leader. One big breakthrough was discovering that Pebble had an internal feature for its iOS and Android apps that would let them swap out the app store for a different one. Fitbit found out about this, and actually opened it up for Rebble to use. "In one of the [software] versions Fitbit actually exposed this thing we've been exploiting, which allows us to use their apps with our app store, which is pretty cool." Fitbit has continued to update the Pebble software with minor bug fixes, to the surprise of some in the Pebble community. "I go out of my way to stick up for Fitbit because it feels like if you go on Reddit or other places, the general public has this misconception that Fitbit killed Pebble," says Ish Ot Jr. "When they acquired the pieces of Pebble they did, they could have chosen to turn everything off, but they were kind enough to give us some time. "I feel like Fitbit have been more than generous with the extension." Yet even Rebble's creator knows that this generosity will only extend so far. Fitbit doesn't want a Pebble story; it wants a Fitbit story, and while good grace reflects well on the company, it ultimately wants people to buy its products. It has the Fitbit Ionic, which it is using to woo developers with app challenges and by trying to foster a community. It also has further smartwatches in the pipeline that will work with Fitbit's app store, at least one of which we'll see this year, according to sources familiar with the company's plans. Not everything will migrate. Voice recognition is one thing that will be lost come July, and Rebble isn't certain it can find a fix. Ish Ot Jr thinks there could be a solution by replacing this with an alternative free service, but it may just be a casualty. There's also a question mark over what rights Rebble has to the existing apps, which were originally built for Pebble. And then there's the key problem of power management, as right now, says Rebble's Ish Ot Jr, the software will only run a Pebble smartwatch for a quarter of a day. Battery life was one of Pebble's strongest features, lasting up to seven days on a single charge – another reason why so many users don't want to jump ship – so Rebble has its work cut out for it. But one possible result of all this could actually be new smartwatches. "There are lots of projects spinning out of this, and one of the first things we asked was, how can we make a Pebble?" says Ish Ot Jr. "We made a prototype of an e-paper display wearable. We were able to put something pretty cool together pretty quickly." He's encouraged by the idea that Rebble will inspire people to make new smartwatches that run the software. "I'll make it if no one else does." As inspiring as all that is, there's an obvious question hanging over this story: Why bother? 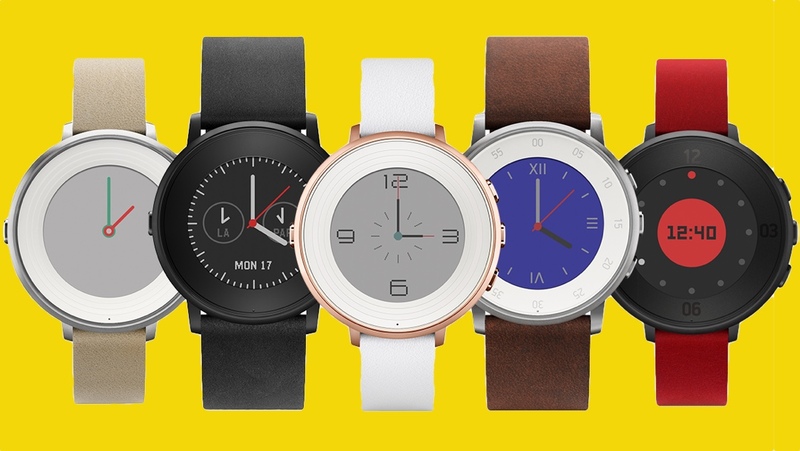 When there are so many smartwatches that do more and look better, why even keep the Pebble dream alive? The most obvious answer is probably the sheer number of people who won't let go; Pebble's community is fiercely loyal. A trip over to the Pebble SubReddit is enough to tell you exactly why Rebble exists and why Fitbit is going to have a much tougher job of tempting people over than it possibly first thought. It can partly be blamed on an inherent disconnect between the two companies; despite tremendous Kickstarter success, Pebble cultivated an image as the underdog in a world of corporate giants. "No matter what, [Fitbit is] a huge company. It can never have that same story and connection that Pebble does." Then there are the features of the watches themselves. "The Ionic doesn't do the things I want it to do," says Ish Ot Jr, who highlights notifications as one example. He also points out that the latest Rebble blog post attracted over 2,000 views in less than 24 hours. The appetite is there. So if it was so great, why did Pebble die in the first place? The company, led by Eric Migicovsky, nurtured a huge community of dedicated fans for its e-paper smartwatches, but competition eventually ate into its market. Sources who worked within Pebble told us they believed the company grew too fast for its own good and became a victim of its own success. A number of larger companies approached Pebble over the years to partner with or acquire it, but Pebble resisted, not from hubris, but from a feeling within the company's leadership that it needed to stay true to itself. This philosophy did it favours within the Pebble community, but sadly took it to a place where it ran out of money, ultimately selling parts for scrap to Fitbit. Ish Ot Jr can't yet say whether they'll be ready in time for 30 June, but he knows the race is now on. "We've got a lot of the big pieces. It's not ready to live on your wrist yet. But it's exciting how close we're getting." This is good to know, and I wish him much success. I love my pebble, and I don't really want to spend $300 on a new watch when I have one that is perfectly fine (it does what I want). I paid only $60 for my pebble time and It got me back into wearing a watch after many years of having nothing on my arm. The pebble is durable (I have an active job and I have run that watch into so many things and I don't have a single scratch on it. I would love to keep using it for a few more years.